An offering from the Bally Technologies labs, Fireball is a slot machine with interesting features and exciting rewards. The game is not only entertaining, but also very rewarding owing to the progressive jackpots it is linked to. 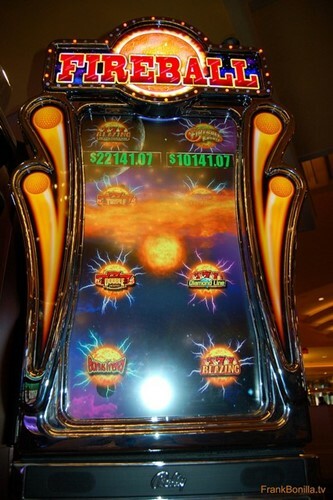 A multi-denominational game, Fireball is a slot that should be tried by both novice and experienced casino goers. Hello URComped Fan’s, & Welcome To 2019! Happy New Year To Each And EveryOne Of You! Thank You So Much For Following Us Last Year & This Year Is Going To Be Even Better! 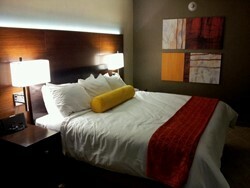 Keep Watching Our Weekly Blog For New & Improved Content & Offers. Let’s Get Into Our Top 5 Now. Starting Off At #5. This game is really starting to interest me more and more. It plays out a lot like Fu Dao Lo with its black out screen and progressive picking. I like how in the feature you can pick your volatility on how you want the bonus to play out. So cool to watch. What makes this game so unique and special and one of the hottest games around right now is the ball drop feature. Landing 6 balls starts the feature. Getting all 15 lands you the grand. 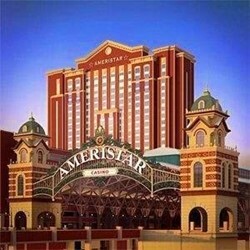 Nice job Slot Winner on another fine jackpot. What an awesome feature Diana! Those fireballs just kept adding up and up and up until you got to the top. Landing some progressives along the way helped out a little too. I have yet to play this one yet but it’s on my bucket list. Thanks for sharing. This seems to be your go to game these days and it’s really paying off for you in a big way. Nice jackpot on an impressive bet. Landing the Unicow is something I yearn to do but have not yet. This jackpot is amazing! Totally unreal how you triggered that massive bonus with the 4x symbols. That’s what makes this game so awesome is in the bonus when the whale which is wild becomes 4x instead of 2x and then when you get both in the same spin, watch out. Congratulations on earning the top spot this week. Hello & Welcome To This Weeks Edition Of URComped’s Top 5 Jackpots Of The Week. This weeks # 1 Spot will blow you away. Let’s kick it off with #5. Another neat game with loads of different progressives!! The bonus feature is when you land three mechanical reels on the screen which then in turn into three separate games on the screen to earn credit awards and or progressives. What makes this game so unique and special plus fun to play is that bonus. The bonus is where it’s at. In the bonus you have multiple chances to score nice line hits but the volatility lies in the spin it grand feature where fire lines line up with credits and progressives. NG nailed two progressives, not just one. Impressive!! This is a fan favorite right now. Part of the Buffalo series that everyone loves to play. This particular game you earn Buffalo Gold Heads in the bonus that eventually after getting so many, they make symbols on screen become Buffalos generating monster wins. Another classic slot machine amongst fans where you can either hit it big in the top dollar bonus or with a regular line hit. In this case, Indianaslotomatic nailed a monster line hit with those two double diamond symbols with triple bars. 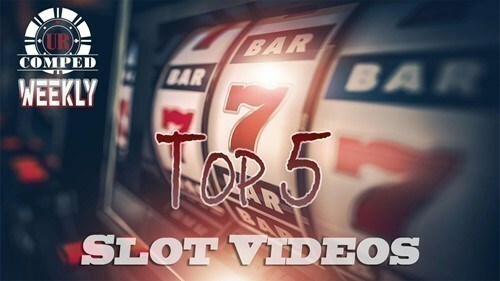 Congratulations Newenglander82 SLOT VIDEOS for making this weeks #1 SPOT in our Top 5 Slot Video Jackpots Of The Week. No explanation needed for this win, just WATCH IN AMAZEMENT! !